nero profumo: Is Guerlain Losing The Plot? Is Guerlain Losing The Plot? This short message to let you know that with much of my surprise all of the Monsieur Guerlain fan pages have been shut down. LVMH / Guerlain's marketing and digital departments asked Facebook and Instagram to close Monsieur Guerlain accounts, allegedly because they violate the brand's trademark. As a matter of fact, all others Monsieur Guerlain related pages and channels have been closed as well. I find it completely ungrateful and irrespectful from Guerlain to act this way towards the man who showed such a deep and enormous passion for their brand. 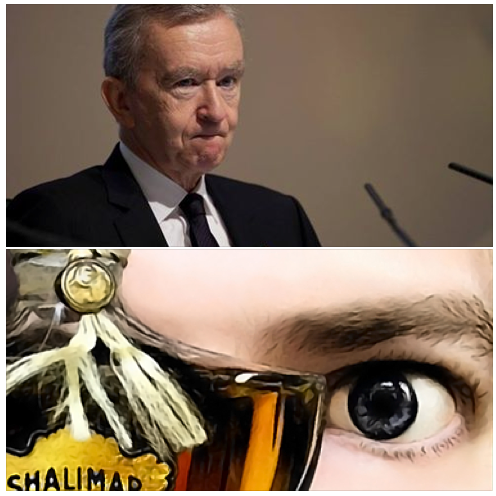 A man that for thousands of Guerlain fans have always been a point of reference given his vast and incomparable knowledge about the history of the french firm. This was surely the opposite of a class move from a huge colossus that seems to have become more and more interested only in greed and mere profit. I've always been a huge fan of the house but this move is seriously making me question my passion towards them. Long live Monsieur Guerlain and hope to see him back soon! The Monsieur Guerlain site was a loving tribute to the brand. Whatever reason Guerlain/LVMH had, it is a sad day indeed when that carries more weight than the information and admiration that Monsieur Guerlain and his many fans offered through his site. This is a disheartening move and corporate bullying as far as I'm concerned. Sad that Guerlain has forced the closure of the Monsieur Guerlain, a blog, that was loved by perfume collectors worldwide for informative posts about new releases, and historical reference for vintage Guerlain. In my view, Monsieur Guerlain was known and respected as THE person with the most comprehensive knowledge about all things Guerlain. Such a shame that LVMH doesn't seem to care about brand loyalty or it’s fans. I have many Guerlains in my collection but haven't loved any of the new releases of the past five years. Perhaps it's time to move on? In the end, this aggressive move by the company gives me all the more reason to purchase from Small indie perfumers and not from Guerlain. It's my thought I'm not missing much. I spend about $1500 a year on Guerlain fragrances and most of those purchases are guided by Monsieur Guerlain. I can tell you this much: never again. Never again is the right way! Unless they rectify this stupid move, not buying and not supporting Guerlain is the way to go. We're customers and we can totally do that. Good grief, Guerlain. Your shot to your own foot has awakened even ME, from my sorry slumber. Can I loan the house some buckshot for the other foot, so the lawyers can double down on your new image as corporate meanies? Why don't you SUE your greatest fan? Seems like a plan! Thierry - why do you put up with these people? Talk some sense into them! They're killing the brand! PS - Hi people. I was hoping to return to fragrance under better circumstances. Soon. But this is worth bitching about now. I love the modern Guerlains. It's like they beat up a mainstream bro. Ridiculous. Help bring back the Monsieur Guerlain website/blog. Really bad move, and horrible PR. Why silence the voice of someone who has done nothing but cherish,adore, and respect the Guerlain brand. I own close to 65 bottles of Guerlain, but won't be buying anymore until the company makes this right. I can only imagine that this was a poor decision enacted by some MBA middle management pencil pusher, who really has no love for the many thousands of Guerlain perfume lovers! Shameful. This is an action that is the anthesis of the Guerlain quality and standard. "I am thankful to all the people who said 'no'. It is because of them that I went out and did it myself"
Thank you very much for posting this. I had not realized this had happened and am extremely disappointed finding it out. I wrote to them also & thanks to Robert for providing the email address in those comments above. One can only hope they will reverse their decision (with an apology) given the seemingly non-sensical, unwarranted & fundamentally unkind, corporate overreach. I am willing to write to Guerlain too but before that I would be interested in hearing the entire story from Mr Guerlain's point of view. Did this happen out of the blue for him or was there correspondence with Guerlain? Was he pressured to take his stuff offline himself or was it being taken offline by the hosters? Oh, nevermind then. I realize now, after reading through the corresponding BN-thread that my questions have been answered and that for the time being MrG's sites are back again. I've been pretty much out of the perfume-loop for some time now. It was just yesterday that I read about Shiseido buying the Lutens brand back - that's probably telling enough.